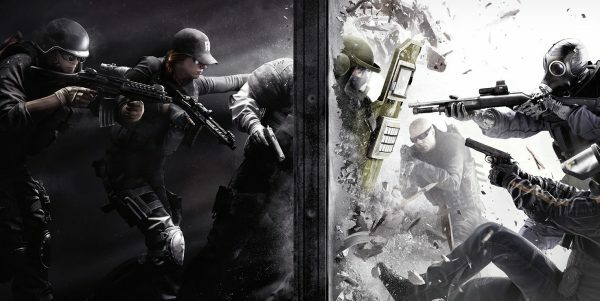 Three, new editions of Rainbow Six Siege will be made available to purchase starting next month. Ubisoft will release new purchasing options for Rainbow Six Siege in support of Year 3. These new options will be available for purchase starting February 13: Advanced Edition, Gold Edition and Complete Edition. A Started edition is available now. Additionally, the limited-time Outbreak Collection has been announced. Outbreak Collection Packs will be obtainable in-game during the Outbreak Event or in the new Advanced, Gold and Complete editions with no time limit. Outbreak Collection Packs will be available March 6 and each pack grants one of 50 unique cosmetic items designed for the Outbreak event. Each are guaranteed to not be a duplicate of one already unlocked and will remain useable after the event ends. As reported in December, Year 3 starts off with Operation: Chimera and brings with it the new Outbreak event . Here, instead of a new map, players will explore a “a new fantasy” with two biohazard specialists to the game. Ubisoft has been running an ARG of sorts for the Outbreak event, which by all accounts seems to take place in New Mexico. There will be “zombies and monsters” too, apparently, going by what the public has been able to figure out. The full reveal of Operation Chimera and Outbreak will take place in Montreal at the Six Invitational 2018, so we’ll know for sure what’s included once the announcement lands. Details on each Rainbow Six Siege edition are below.